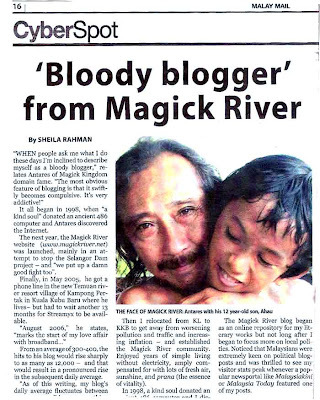 MAGICK RIVER: Featured in the Malay Mail! I've modeled my life after Bugs Bunny. In one episode of Looney Tunes, Bugs is having fun outsmarting Elmer Fudd; in another, Bugs works at Acme Paper Clips; in yet another, he's running circles around Marvin the Martian or taming the Tasmanian Devil; but, mostly, Bugs Bunny happily munches away on a carrot and says, "What's up, Doc?" Of course, some might think I watched too many Tarzan movies as a kid. I rather like the way Tarzan becomes Lord of the Jungle while retaining his noble heritage as Lord Greystoke. I was passionately involved in theatre, music and literary pursuits between 1976-1992 (which already tells you I'm no spring chicken; indeed, this Old Rooster has 4 beautiful and brainy grandchildren!). Made a small splash in 1989 with the release of my first book ADOI! 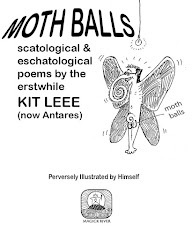 (now accessible online). Then I relocated from KL to KKB to get away from worsening pollution and traffic and increasing inflation - and established the Magick River community. Enjoyed years of simple living without electricity, amply compensated for with lots of fresh air, sunshine, and prana (the essence of vitality). Married into the Temuan (Orang Asli) tribe in 1995. 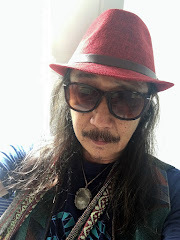 Completed a study of Temuan folktales and cosmology in 1998 but it took 9 years for TANAH TUJUH: Close Encounters with the Temuan Mythos (Silverfishbooks, 2007) to see the light of day. In 1998 a kind soul donated an ancient 486 computer and I discovered the Internet. The next year the Magick River website was launched, mainly in an attempt to stop the Selangor Dam project - and we put up a damn good fight too. 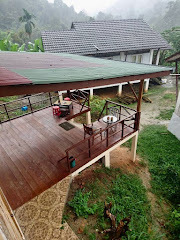 Finally got a phone line in the new Temuan river resort village, Kampong Pertak, in May 2005 - but had to wait another 13 months for Streamyx to be available. August 2006 marks the start of my love affair with broadband. When did you start your weblogging? The Magick River Blog was inaugurated on 1 December 2006 and very quickly turned into almost a full-time obsession. Patrick Teoh (of Tokkok and Niamah fame) is the one to blame for inspiring me to become a blogger. Of course, a few days after I launched my blog I realized it's no point blogging unless you have a readership. So I spent weeks learning how to list my blog on directories and increase its "page ranking." Discovered the importance of tags and how to introduce myself into the burgeoning blogosphere by interacting with other bloggers. Took several months for the blog to start attracting regular traffic (I was just having fun anyway and not looking at blogging for money). The Magick River blog began as an online repository for my literary works - but in the aftermath of the explosive murder of "the Mongolian woman" I began to focus more on local politics. Noticed that Malaysians were extremely keen on political blogposts and was thrilled to see my visitor stats peak whenever a popular newsportal like Malaysiakini or Malaysia Today featured one of my posts. From an average of 300-400, the hits would rise sharply to as many as 12,000 - and that would result in a pronounced rise in the subsequent daily average. As of this writing my blog's daily average fluctuates between 500-1,100, spiking to something like 6,000+ whenever Malaysia Today or Malaysiakini links me. I've always liked the idea of editing my own magazine. However, the magazine business is fraught with pitfalls, especially when it comes to censorship and advertisers. So many friends have started promising magazines, only to flop after a couple of years. Blogging offers a multimedia template so I can be editor & publisher of my own online journal - without anyone to censor me or advertisers to balk at my content. Thanks to Google, the Blogger platform I operate is free - which allows me to become a pro bono blogger. I'm pleased that the blog I started quickly attained Google page rank 4 and has been blogrolled by about 70 other sites. As I don't blog for money, I'm free to keep my blog personal and eclectic - I don't have to stick to politics or whatever. Has blogging changed your life? How? The most obvious feature of blogging is that it swiftly becomes COMPULSIVE. It's very addictive! Even when I suffer a breakdown in telephone service, I find myself blogging from cybercafes. Indeed, when people ask me what I do these days I'm inclined to describe myself as "a bloody blogger." Foremost feature in the "Blogosphere" that amazes you? Anonymous bloggers and commenters. 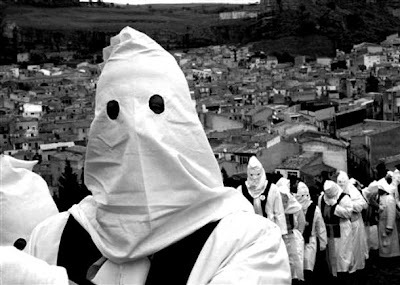 While anonymity emboldens and creates a space for uninhibited expression of ideas and feelings, it also allows people to hide behind masks. So we have this paradox wherein a great deal more honesty flourishes while an equal amount of stealthiness and undercover sniping occurs. But overall, the free flow of information and opinions far outweighs the residual fear some bloggers carry. Man does not (and cannot) dine at one restaurant alone! But if only ONE blog or web portal was available, then I would have to pick Raja Petra's Malaysia Today. Why? Because, more than any other political website, MT has contributed to a mass awakening in Malaysia, thanks to Raja Petra's trademark "no holds barred" approach to reportage. Many misdeeds go unreported for want of concrete evidence or documentary proof - we only hear loose talk at the teh tarik stalls. What Raja Petra has done is to take idle gossip to a powerful new level where it simply cannot be swept under the carpet. First, Raja Petra has the necessary connections and credentials. People know he has "reliable sources" and access to Deep Throats in every area of business and government. And Raja Petra puts his own neck on the line by using his own name. Some would consider that foolhardy, to risk putting your name to all kinds of libellous allegations - and, indeed, the fact that Raja Petra was targeted for arrest and detention under the obnoxious ISA indicates that his punches have hit home. The people in power with the most to lose have been forced to abuse the powers vested in them to defend their own reputations and positions - which is precisely what Raja Petra intends, to let these politicians hoist themselves by their own petards. Ironically, even though Raja Petra is behind bars he has become the nation's greatest hero (alongside Anwar Ibrahim, his political ally) while those who ordered his arrest have become the most despised and loathed men in the country. Through Cyberspace communication many things can happen. What would you really like to achieve? My activities online don't really change my personal life - apart from the positive interactions I enjoy with a widespread and constantly growing circle of virtual friends - but they certainly enhance my ability to remain plugged in while living far from the madding crowd. 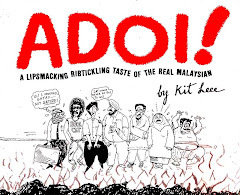 Between December 2006 when I began my blog and the present, there has been a quantum shift in the Malaysian political consciousness. This is how the rakyat reclaimed its voice - via the blogs and interactive news portals like Malaysia Today and Malaysiakini. And now that voice is growing into a deafening roar, demanding radical change, regime change. I was among the first to name Raja Petra as a cyberwarrior par excellence and have lavished praise on Malaysiakini for its contribution to democratizing the Malaysian psyche. My own blogging feeds into the collective consciousness and influences how events unfold in real time and political space. It gratifies me to know I can share my own experience, insights and perspectives with the younger generation via the blogosphere. I suppose it would do my brother Mike a world of good to set aside his fear of computers and take up blogging. He's 66 years old and doesn't have a friend in the world on account of his idiosyncratic personality and his myriad fears. If he would only invest in a laptop and broadband connection, he would soon discover he's far from being alone in his neuropathology - indeed, there are hundreds, perhaps thousands, of individuals in Cyberspace far weirder than Mike whose peculiar interests are more than a match for his own. Unfortunately, my brother is now almost blind (cataracts in one eye and serious injury in the other) and that's become his latest excuse. Well, I happen to know a BLIND blogger named Alfred Ho who is also a famous singer. Alfred uses special software to convert text into voice and vice versa and maintains a very vibrant and vocal blog. The best thing about blogging has been the many new friends I've made who began reading my posts and subsequently added me as a friend on Facebook or emailed me directly. I don't get much positive feedback from my family and old friends - but these new friends are unstinting in their praise, and that is so nourishing for my soul, not to mention my ego! Great interview and write-up Antares. Congratulations bro, interesting blogging history and looking forward to lots more good stuff from you. Well done, bro. Keep up the good work, and have a ball doing it. May you still be at this when you're a great grandfather! Such an excellent piece, and so in keeping with your style! I am so happy they featured you. You so deserve it: for the way you so ably translate your thoughts into words; for your humour, sometimes droll, sometimes hysterical; and for the way you always say what you mean, without fear, and without mincing words. And I can always picture you smiling behind your words! I am so honoured to be thought worthy to be your friend. Great stuff Antares, keep the fire burning man! Always enjoyed your churning - your THC potency was ultrapotent. Today our minister is enjoying his hari raya at his best luxury. I wonder whether he has any conscience towards the suffering of the people he has placed under ISA detention. If the spirit of this holy season is to forgive and forget, it definitely is not showing by the minister and the ruling party in the government, eventhough they are muslims! Can he and the ruling party ask themselves whether they really believe that these people are capable of threatening the security of the country and overthrow the government? If they think that these people can instigate unrest, how about letting the citizen of this country to have a say about such presumption? The minister and the ruling party always like to claim to have the majority support in their action but the truth is they may not even have the majority suppot of their own members within the party to act in such an uncaring and unforgiving manner. If the minister and the ruling party do have some decent human character, the least thing they can do is to free those under ISA detention without trial and allow them to face the proper court of law in this country. Is it that difficult to do the honourable thing as a human being towards another? Still, the wonders of putting the word out pales to meeting the real article. Which is why I intend to bring in one new pilgrim to the river a month [dragging another bloke there this friday]. More people to poke holes in that infernal psychic shield BN has. btw i was once featured in the star alongside with a few other bloggers. Anyway, even as we plod on towards an unknown outcome, we celebrate freedom and friendship through blogging - and may our collective voice eventually bring down the already crumbling walls of Jericho!